Is Your Sales Manager Creating Turnover? You are a CEO or business owner that is frustrated with the revolving door in your sales department. Turnover is costing time because you’re constantly interviewing candidates, money because of missed quotas, and unhappy customers, who are tired of seeing and hearing a new face every quarter. Your sales manager is a likable person and a hard worker. He or she is passionate about the company and its products. Your organization pays salespeople really well. And you just invested in three ping pong tables for some fun in the office. So, what’s going on here? #1: Addiction: Research shows that coached sales teams outperform non-coached ones. However, in a high-tech world, I am seeing a recurring coaching problem: the sales manager’s addiction to love of technology and what is commonly labeled FOMO: Fear of Missing Out. Today’s sales managers are plugged in, checking in and unfortunately, often checking out from members of their sales team. They confuse being busy with being productive. Here’s a quick example. The sales manager schedules a one-on-one coaching session with a salesperson who is really looking forward to it. He needs advice on a difficult deal he’s trying to get across the finish line. The coaching session begins, but the sales manager’s smartphone vibrates. She takes the call or answers the email, apologizing to the salesperson. Then another call comes in and the FOMO begins, cutting into the salesperson’s one-on-one coaching time. 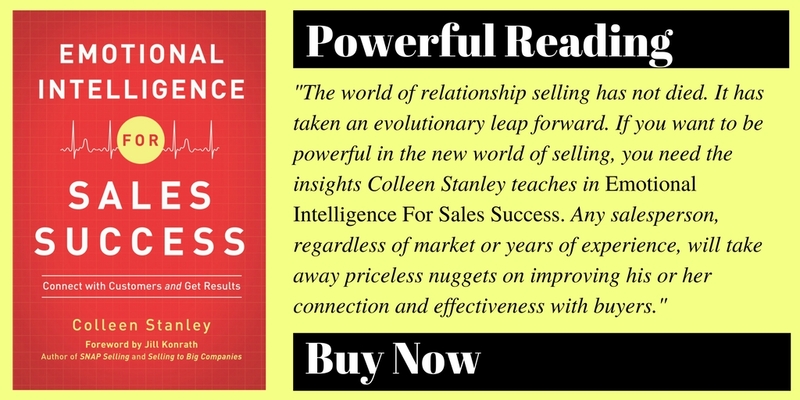 The sales manager is busy taking care of everything -- but not the most important thing -- which is to give the salesperson her undivided attention. The coaching session wraps up and the salesperson is frustrated because of a wasted hour and no advice. The salesperson decides to move to another company, one where the sales manager is present and focused. One where he feels the love, and gets the time and attention needed to improve his selling skills and results. The wing-it sales manager often lacks the emotional-intelligence skill of impulse control and is easily distracted by the latest shiny sales objects. The pursuit of objects delays the documentation of the company’s sales processes and selling methodology. No defined sales playbook forces the sales team to enroll in the University of Hard Knocks. It’s not surprising that most salespeople aren’t motivated to get a degree from this school. They drop out of your company and move to one with a more organized sales department -- one with a defined sales playbook. If there’s too much turnover at your company, start examining potential blind spots your sales manager may have that impede his or her success. Stop the revolving door of sales talent.